I have a number of friends who have committed themselves to reading through the whole Bible in a year. But on more than one occasion, these friends have come to me and said: "Richard, when I begin to read Old Testament prophecy, I feel as if I'm lost in a huge, dark forest." And that's the way it is for many of us. We begin to think that we know the prophets, but soon we see that we're wandering aimlessly because we're so unfamiliar with the terrain of the Old Testament prophets. Well, in this lesson we're going to begin to get a familiarity with the terrain of this part of the Bible. So we've entitled this lesson, "Literary Analysis of the Prophets." 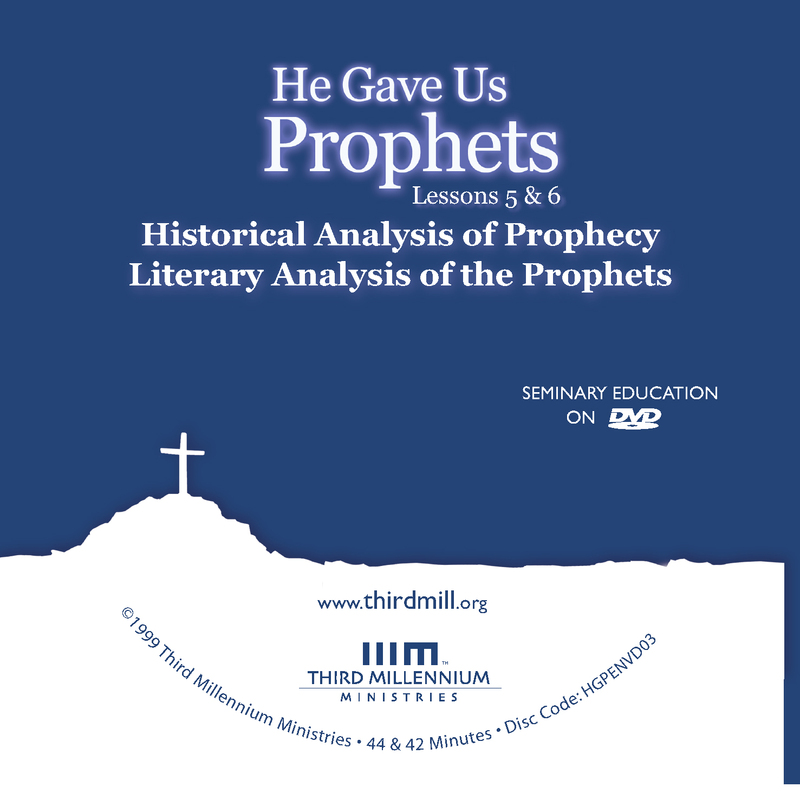 In this lesson we'll focus on three different kinds of literature that we run into all through Old Testament prophecy: first, historical narratives, stories that record events that took place in the prophets' lives; second, communication with God, passages that record the prayers and the praises of the prophets as they addressed God; and, third communication with people, the speeches which the prophets directed to their fellow human beings. Understanding how these different kinds of literature appear in prophetic books will provide us with a map that will lead us to the treasures that await us in this part of the Bible. Let's take a look first at historical narratives. Everyone likes a good story. That's why we read books and go to the movies. It's because stories do more than inform us. They also awaken our imaginations and change us in ways that are unimaginable at times. Well, when we think about the Bible, we know there are many stories or narratives in the Bible, but usually we allocate the narratives to books like Genesis and Exodus and Numbers. But we must also see that there are many narratives even in the prophetic books of the Old Testament. Historical narratives absolutely dominate the terrain of several Old Testament prophetic books. At the top of the list is Jonah. From the beginning to the end, it tells the story of Jonah and his ministry to the city of Nineveh. A large portion of the book of Daniel is also historical narrative. Daniel's visions and prophecies are set within the context of historical events. Beyond this, a number of chapters in books like Jeremiah and Ezekiel also form historical accounts. And to a lesser degree, narratives also appear interspersed here and there in books like Hosea and Amos and Isaiah. As we study Old Testament prophets, we must always be on the lookout for historical narratives. They form important parts of many books. We'll explore the role of historical narratives in prophecy by focusing on two matters: first, the types of narratives we encounter; and second, the content of these narratives. Let's look first at the types of narratives we run into in the prophetic books. Old Testament prophecies contain two basic types of narratives: biography and autobiography. Just as these terms normally indicate, biographies are accounts from a third person point of view and autobiographies are told from the first person point of view. In some cases, both biographical and autobiographical accounts appear in the very same book. For example, the first six chapters of Daniel report a number of events in Daniel's life from a third person biographical point of view. In chapter 1, we learn of Daniel's training in Babylon. In chapter 2, we learn of Nebuchadnezzar's dream of a great statue and Daniel's interpretation of that dream. Chapter 3 is the story of the famous fiery furnace, and chapter 4 reports Nebuchadnezzar's dream of a tree and Daniel's interpretation. And then, chapter 5 reports the well-known time when Belshazzar saw handwriting on the wall, and chapter 6 is an account of Daniel in the lion's den. All of these chapters take the shape of biography. They form third person narratives about the Old Testament prophet Daniel. Although the first six chapters of Daniel are biographical, chapters 7–12 take a turn toward autobiography. Short introductions begin each section, but the terrain is dominated by first-person accounts. Daniel himself reports what happens to him in his own words. Chapter 7 reports Daniel's own account of the dream of four beasts. In chapter 8 Daniel tells about his vision of a ram and a goat. Chapter 9 contains an autobiographical account of Daniel's prayer for the exiles to return to the land. And chapters 10–12 amount to an autobiographical record of Daniel's vision of the future for God's people. As we study Old Testament prophecy, we're going to run into many biographies and many autobiographies, and we must always be aware of these genres when we come upon them. Old Testament writers wrote in narrative form so that they could teach their lessons indirectly to us, and if we miss these genres, we'll miss the important messages they have to give to us. Having seen that historical narratives form a vital part of the prophetic books, we're now in a position to ask another question: what were the basic contents of these records? Throughout the prophets we find that narratives focus in four basic directions: first, the prophetic call; second, symbolic actions; third, vision reports; and fourth, historical backgrounds. A prophetic call is a report of the times when God commissioned prophets to speak on his behalf. This kind of record appears in a number of key passages. For example, Isaiah 6 reports God's call to Isaiah. Jeremiah 1 tells us how God called Jeremiah to represent God's covenant. And similarly, in Ezekiel 2, we learn that God called Ezekiel to serve him in a very special way. In each of these passages, we find stories or narratives, and we learn about the prophet's humility before God and how the prophets were assured that God had authorized their ministries. The stories of a prophet's call were designed to validate or to demonstrate that God had called prophets to do his bidding. And this was important because Old Testament prophets often said things that were not very popular or easy to accept. And we must always remember that these stories validated that God had called these men to serve him. As we listen to the Old Testament prophets, we're going to hear things that we don't like and we don't want to accept, but we must remember that prophets were called by God. Historical narratives in the prophetic books also focus on the symbolic actions of prophets. Many times God called his spokesmen to perform certain actions that took on symbolic value for their ministries. For example, in Jeremiah 13, the prophet was told to go bury his linen belt until it rotted in order to illustrate the corruption of Judah. In chapter 19, Jeremiah was told to buy a clay jar and break it in the presence of the elders as a symbol of what was going to happen to Judah. And in chapter 32, God instructed Jeremiah to buy land and to keep the deed safe as a sign to assure the people of God that one day God would bring his people back to the land. These examples in the book of Jeremiah are just a few of the many symbolic actions that take place in the prophetic books. Books like Hosea and Ezekiel are full of such events. In the Old Testament, the people of God were able to see with their eyes what God was saying through the words of the prophets. And as we read these records, we can see with our eyes what God was saying through the prophets as well. Sovereign Lord, forgive! How can Jacob survive? He is so small! (Amos 7:2). Amos was concerned that not even a remnant of God's people would live through such a terrible locust plague. And so, in verse 3, God relented and decided not to send the locusts. Sovereign Lord, [forgive]! How can Jacob survive? He is so small! (Amos 7:5). Once again, in verse 6, God relented. Then a third vision is reported in Amos 7:7-9. This time, Amos saw God standing beside a wall with a plumb line in his hand. He was measuring the wall to see if it was crooked and if it needed to be torn down. Now, this plumb symbolized the fact that God was going to judge each individual among his people and destroy only those who had rebelled against him. Amos had nothing to say about this vision. He knew that a righteous remnant would be found and would survive. The prophetic books are full of vision reports like these. You will remember the first chapter of Ezekiel where we see the great chariot throne of God. And you will also remember the many visions of Daniel the prophet. The prophetic vision reports let us know the heavenly origins of the prophetic word. The virgin will be with child and will give birth to a son, and will call him Immanuel" (Isaiah 7:14). Now, often Christians mistakenly pay very little attention to the narrative that surrounds this verse, the narrative of chapters 7–8 in Isaiah. These chapters provide an historical context for Isaiah's prophetic word. In Isaiah 7:1-2, we learn that Isaiah was approaching Ahaz at this time when he was terrified by the threats of Syria and northern Israel. These nations wanted King Ahaz to join their coalition against the empire of Assyria. So, in 7:3-11, the narrative tells us that Isaiah delivered a warning to Ahaz. He warned him not to fear any of these nations, but to trust Yahweh for his deliverance. But in 7:12 we learn that Ahaz refused to trust God. So, in 7:13–8:18 the narrative explains how Isaiah rebuked Ahaz and announced that God was going to judge Judah through the Assyrian empire. This historical narrative was designed to provide a context, an historical background for Isaiah's prophecies in this passage. We can only hope to understand Isaiah's predictions correctly when we set his predictions within the context of this historical narrative. Whenever we read Old Testament prophecy and we come upon a story, we have to ask ourselves these questions: Are we dealing with a call narrative? Are we dealing with a report of a symbolic action? Or are we dealing with a vision report or simply a narrative that gives us historical background to a prophecy? As we ask these kinds of questions, we'll find ourselves able to understand passages that otherwise remain hidden from us. So far in our lesson of prophetic literature, we have seen that the prophets included historical narratives in their books. Now we should turn to a second major type of material found in this part of the Bible — the prophets' communication with God. Old Testament prophets were men and women who loved God, and so their lives were full of prayer. But we also have to remember that they loved their Bibles and they learned how to pray from their Bibles. And so we discover that the prophets of the Old Testament prayed to God in the ways that the Psalms prayed to the Lord. The full range of every imaginable kind of prayer can be found within the prophetic books. For the sake of simplicity, we'll point to two ends of the spectrum of prayers which we find in the prophets. We'll speak first of prayers of lament, and then second, prayers of praise. When the prophets spoke to God, they opened their hearts to him across the full range of sorrow and joy. Let's look first at how the prophets expressed themselves to God in prayers of lament. Unfortunately, many Christians today are unfamiliar with that type of prayer that we call laments. Laments are those prayers that offer disappointment and sadness and confusion to the Lord. In our day, many Christians think that it is inappropriate to pray that way, but we discover that the prophets of the Old Testament tell us that those kinds of prayers are a very important part of our lives with the Lord. The prophets offered their confusion, their disappointment, and their sadness to God in prayer. Laments appear throughout the prophets. Jeremiah, Lamentations, and Habakkuk are especially well known for their extensive laments, but these kinds of prayers appear in many prophetic books. In fact, the book of Haggai is the only prophetic book that does not contain a passage that's at least closely related to laments. The frequency of prayers of lament within the prophetic books indicates that this was a very central part of the prophetic ministry. The prophets offered their concerns to the Lord through laments because they faced some of the worst times in the history of God's people. To explore how laments appear in the Old Testament prophetic books, it helps to realize that prophets usually lamented about two different topics: first, the sins of God's people; and second, the judgment of God against sin. One of the best ways to illustrate these two concerns of prophetic laments is to look at the laments contained in the book of Habakkuk. Habakkuk ministered just before and during the Babylonian crisis in Judah, and for this reason, Habakkuk talked to God about two big problems. On the one hand, in 1:2-4, he lamented about the sins of Israel and the way that Israel had rebelled against God. And then in chapter 1, he lamented over the horrors of God's judgment in the aggression of the Babylonians. We should begin by looking at the prophet's laments over the sins of God's people. How long, O Lord, must I call for help, but you do not listen? Or cry to you, "Violence!" but you do not save? (Habakkuk 1:2). The law is paralyzed, and justice never prevails. The wicked hem in the righteous, so that justice is perverted (Habakkuk 1:4). Habakkuk was distressed that God had not reacted in judgment against the sins of his people. He felt frustrated and helpless. This opening prayer in Habakkuk illustrates one of the central ways in which prophets expressed their hearts to the Lord. When they saw the pain and suffering of God's people, they could do nothing but cry out to God themselves and call others to cry out in laments. I am raising up the Babylonians, that ruthless and impetuous people, who sweep across the whole earth to seize dwelling places not their own (Habakkuk 1:6). God promised that he would answer the prophet's cry for judgment against those who practiced injustice in Judah. Now, God was true to his response to Habakkuk, and he sent the Babylonians in covenant judgment, and they subjugated Judah and mistreated the people of God. Your eyes are too pure to look on evil; you cannot tolerate wrong. Why then do you tolerate the treacherous? Why are you silent while the wicked swallow up those more righteous than themselves? (Habakkuk 1:13). Because you have plundered many nations, the people who are left will plunder you (Habakkuk 2:8). Habakkuk's lament over the severity of God's judgment reached the throne of heaven, and God assured him that Babylon would be destroyed. Throughout the prophets, we find that these servants of the Lord offered prayers of lament to bear their burdens before the Lord. We find occasionally that they offer laments on the behalf of Gentile nations to ensure the people of Israel that their enemies would be destroyed. But usually, they offered these burdens to the Lord to let the people know how severe their sins were and to call them to repentance. Laments are one of the ways in which prophets communicated with God. Now we should turn to the second major type of prayer appearing in the prophets — the praise of God. Just as the Psalms have many examples of praise to God within them, the prophets also used this form of expression to speak words to the Lord. Usually they offered praise to God because of his great covenant blessings. When the prophets would see what good things God was going to do, they would come to him with praise. The praise of God occurs in many prophetic books. It was a very important theme to the prophets. We're going to complete our look at the book of Habakkuk by noting the praise of God that appears at the end of his book. As we've already seen, most of the book of Habakkuk deals primarily with the prophet's laments and God's responses to his laments. But the last chapter of the book shifts from lament to praise. After God had promised that he would destroy the Babylonians for their severe treatment of God's people, Habakkuk offers a wonderful praise to the Lord. What kind of praise do we find in Habakkuk? Throughout the prophets, two themes take center stage in the praise of God. When the prophets honor the Lord with praise, they praise him for his judgments and for his blessings. When we look at the third chapter of Habakkuk, we'll see that he also followed this pattern as well. Sun and moon stood still in the heavens at the glint of your flying arrows, at the lightening of your flashing spear. In wrath you strode through the earth and in anger you threshed the nations (Habakkuk 3:11-12). We see here that the prophet honored God with praise for his ability to strike the nations and to destroy them in judgment. [God] sits enthroned above the circle of the earth, and its people are like grasshoppers. He stretches out the heavens like a canopy, and spreads them out like a tent to live in. He brings princes to naught and reduces the rulers of this world to nothing (Isaiah 40:22-23). When we come to passages that praise God for his judgment, we often feel very strange. Christians today think that you should only praise the Lord for his blessings in the earth, but the reality is this — the world persecutes the people of God. And as a result, when God judges those who persecute his people, the people of God should praise him. The prophets understood this and so they praised the Lord for his judgments. In wrath you strode through the earth and in anger you threshed the nations. You came out to deliver your people, to save your anointed one (Habakkuk 3:12-13). Habakkuk saw that one day God would judge the wicked and so deliver the nation of Israel and restore the house of David. Habakkuk saw these things and he praised his God for his judgments. This is what the Lord says — your Redeemer, who formed you in the womb: I am the Lord, who has made all things, who alone stretched out the heavens, who spread out the earth by myself (Isaiah 44:24). [I am the Lord] … who says of Jerusalem, "It shall be inhabited," of the towns of Judah, "They shall be built," and of their ruins, "I will restore them" (Isaiah 44:26). The prophets not only offered prayers of sadness and lament, but great, ecstatic praise to God. And when the original readers would read these words, they were moved to praise God as well. When we hear the prophets speaking words of praise to the Lord for his blessings and his judgments, we should join them in the praise of God. So far in this lesson, we've seen that the prophetic books contain historical narratives and the prophets' communication with God. Now we come to the third major category of literature that we find in Old Testament prophets — communication with people. As important as it is to know that the prophets had historical accounts and prayers within their materials, these genres don't deal with the main purpose for which God called prophets. God called his prophets to be his emissaries, to speak to kings and to the people of the visible covenant community, and as a result, the vast majority of their word is actually messages from God to the people. And so now we must turn to this kind of genre within the prophetic material. We'll divide our examination of the prophets' communication with people into three parts: speeches of judgment; speeches of blessing; and speeches that were mixed or in-between these two extremes. Let's look first at some of the ways Old Testament prophets announced the words of judgment to the people of the covenant. In recent decades, research into the prophetic books and comparisons with the literature of other cultures has made it clear that Old Testament prophets usually delivered their speeches to people in typical forms or patterns. These patterns of speech were flexible and could be adapted to different situations by different people, but three major types of speech were used to announce covenant judgment — judgment oracles, woe oracles, and lawsuits. Let's look first at judgment oracles. Judgment oracles are the simplest type of speech that appears in the books of Old Testament prophecy. A typical oracle of judgment has two major components: first, there is an accusation in which the prophet calls attention to the sins of God's people; second, there is a sentencing, and in this sentencing the prophet announces what kind of covenant curse the people will experience because of their sins.  Sometimes, these two components are reversed in order, or the prophet alternates between one and then the other. On some occasions, an oracle of judgment may be abbreviated so that it contains only an accusation or a sentencing. But more often than not, this basic two-fold pattern of accusation and sentencing is followed by the prophets. Hear this word, you cows of Bashan on Mount Samaria, you women who oppress the poor and crush the needy and say to your husbands, "Bring us some drinks!" (Amos 4:1). We see here that Amos accuses the women of Samaria of harming the poor of northern Israel. Instead of meeting the needs of the poor, they simply called upon their husbands to satisfy their gluttonous appetites. The Sovereign Lord has sworn by his holiness: "The time will surely come when you will be taken away with hooks, the last of you with fishhooks. You will each go straight out through breaks in the wall, and you will be cast out towards Harmon," declares the Lord (Amos 4:2-3). In a word, Amos predicted that Samaria would be destroyed, and these rich women would be taken away into exile. In addition to oracles of judgment, Old Testament prophets often announced covenant curses in a pattern known as oracles of woe. Oracles of woe are very similar to judgment oracles in that they usually have an accusation followed by a sentencing. The major distinction that these oracles have is that they are introduced by an expression of woe at the very beginning. You who add house to house and join field to field until no space is left and you live alone in the land (Isaiah 5:8). The Lord Almighty has declared in my hearing: "Surely the great houses will become desolate, the fine mansions [will be] left without occupants. A ten-acre vineyard will produce only a bath of wine, a homer of seed only an ephah of grain" (Isaiah 5:9-10). We see here that, as in many prophecies, the punishment fits the crime. The rich had sought to secure their financial advantage by collecting property, but God was going to make sure that their efforts would be in vain. Woe oracles like this one appear throughout the prophets. In addition to judgment and woe oracles, the prophets also pronounced covenant curses in the form of lawsuits. The Hebrew word rib is often associated with this form of speech. Normally, the term rib means "to contend" or "to strive," but it took a special significance in the prophets. It indicates a legal striving. It's a technical term for a legal proceeding or a lawsuit which took place in the heavenly court of Yahweh, the Great King. We've already seen that the prophets often had visions of heaven, the heavenly throne room of God. And many times the throne room of God was seen as a courtroom, and as a result, legal terminology comes forth. God is seen as both the prosecutor and the judge. The witnesses are called against the people of God, and the people are the defendants who have been charged by God. Now, usually we don't find a full-fledged lawsuit within the prophets, but many times we find what may be called modified lawsuits. A rib, or a lawsuit, may contain many elements. First, just as we would expect in a court scene, there is a summons to court. Witnesses are identified. Then God reviews how kind he has been to the accused, and some kind of response is often given, sometimes by the prophet himself. And then God's accusation follows along with a sentencing. Stand up, plead your case before the mountains; let the hills hear what you have to say (Micah 6:1). Hear, O mountains, the Lord's accusation; listen, you everlasting foundations of the earth (Micah 6:2). My people, what have I done to you? How have I burdened you? Answer me (Micah 6:3). With what shall I come before the Lord and bow down before the exalted God? (Micah 6:6). He has showed you, O man, what is good. And what does the Lord require of you? To act justly and to love mercy and to walk humbly with your God (Micah 6:8). Following the prophet's response, we find accusations in verses 10-12, and the sentencing in verses 13-16. Lawsuits, similar to this passage, appear in the prophets as one of the ways God accuses them and then threatens his people with judgment. As we have seen, prophets not only announce God's judgment against his people. They also declare that God would bring blessing to his people as well. There are basically two ways in which the prophets announce divine blessings for his people: On the one hand, prophets would declare judgments against the enemies of God's people. And on the other hand, they would announce blessings directly for the people of God. First, let's see how judgment on enemies becomes a blessing to the people of God. Woe to the city of blood, full of lies, full of plunder, never without victims! (Nahum 3:1). Oracles of judgment, woe, and lawsuits against Gentile nations had a two-fold purpose. They declared that God was going to destroy the enemies of Israel, but they also had the positive purpose of assuring Israel that God would deliver his people. This is what the Lord Almighty, the God of Israel, says… (Jeremiah 35:18). You have obeyed the command of your forefather Jonadab and have followed all his instructions and have done everything he ordered (Jeremiah 35:18). Jonadab son of Recab will never fail to have a man to serve me (Jeremiah 35:19). For I will forgive their wickedness and I will remember their sins no more (Jeremiah 31:34). God's grace in forgiveness formed the basis of the new covenant promise. So we've seen then that the prophets had typical speeches that covered both the blessings of God and the curses of God. But many times we find in the prophets what we might call mixed speeches. Now these mixed speeches come in many different forms and we can only touch on a few of them. But what we have to remember is that these mixed speeches had the potential both for referring to the blessings of God and the curses of God. First, we may speak of judgment-salvation oracles where judgment is threatened against some and blessings are offered to others within the same speech. Isaiah 57:14-21 is a good example of a mixed speech with words of judgment for the wicked and salvation for the righteous. In addition, many times the prophets call people to repentance warning of judgment and offering blessings to those who repent. An example of a call to repentance can be found in Isaiah 55:6-13. There the prophet calls God's people to turn from their evil ways. At other times prophets will call their listeners to war. Again, these calls are mixed because they may be calls to victory or to defeat. For example, in Hosea 5:8-11 we find a call to war, to prepare to be attacked by the judgment of God. Another example of mixed speeches is the prophetic disputation. Prophets entered into disputations or arguments with other prophets. For instance, in Micah 2:6-11 the prophet argued against the views of the false prophets. Disputations announce either blessing or judgment to come. Finally, the prophets declared mixed messages in the genre of parables. Parables may be the positive announcement of God's grace or the negative announcement of his judgment. Isaiah 5:1-7 is a powerful example of a parable in the prophets. There, the prophet Isaiah likened Israel to a vineyard. There are many kinds of mixed oracles that we find throughout the prophets, yet as we come upon them, we should always be alert to the fact that these speeches may serve either to announce covenant blessings or curses. So it is that we have seen that the prophetic literature contains many types of speeches by the prophets. In addition to historical accounts and communication with God, the prophets spent much of their time bringing God's word to his people. It is hard to imagine that we could overemphasize becoming familiar with the various genres that appear within the prophetic books. Many times we feel lost and confused when we read the prophets because we're not aware of the different types of materials that we find there. We've seen that we find in the prophets narratives of historical accounts and communication with God, as well as communication with people. As we read the prophetic books and keep these genre designations in mind, we can go a long way for understanding what they meant in their day and what they mean for us today.